I am not a painter nor a sculptor. 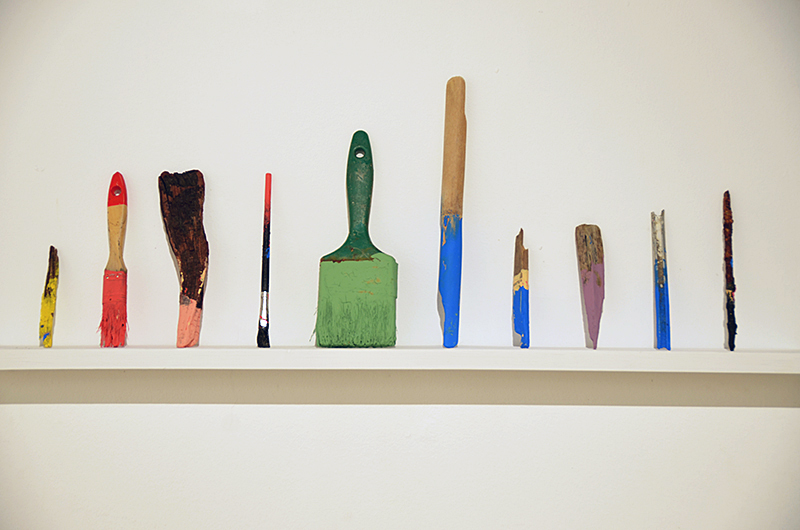 Like with photography, I use paint, other materials, and objects in order to make some thoughts visible and touchable. Painting and installations are just a way of thinking with non-verbal languages. 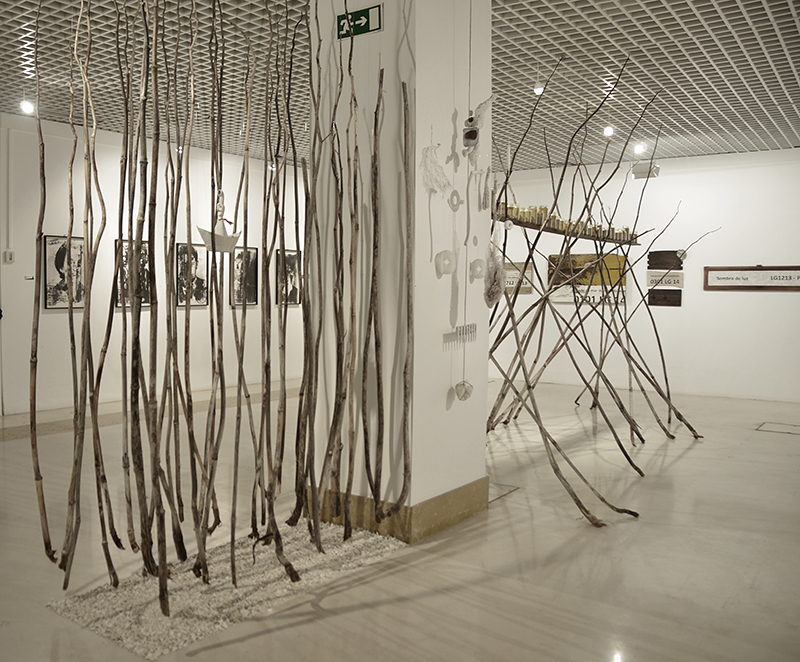 Kick in the Eye, Cultural Center of Lagos, Portugal, 2014. 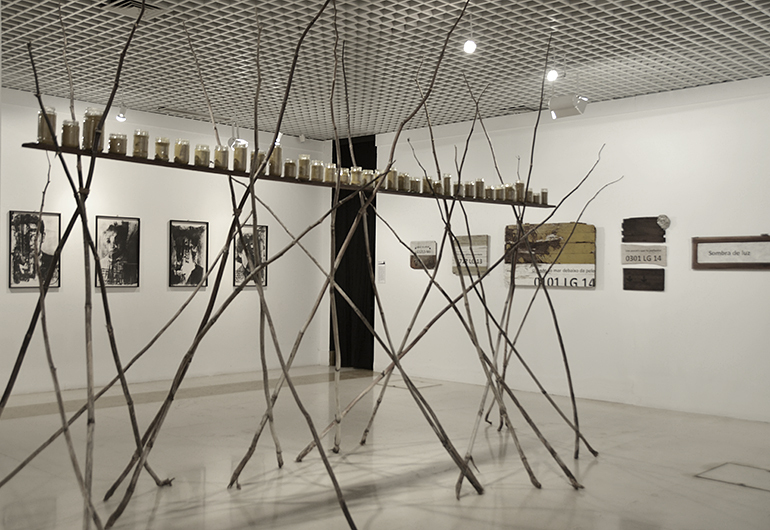 Group exhibition from the artistic residence promoted by LAC - Laboratório de Actividades Criativas, Cutural Association. Forefront: Unstable cliff, mixed media, variable dimensions, 2013-14. 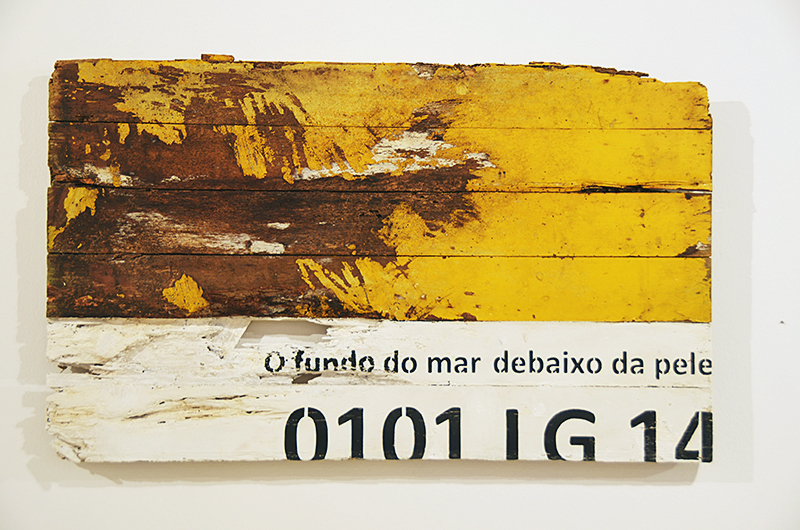 Right wall: Boat names are not poems, series of 7 pieces, wood and paint, 2013-14. The deep ocean under the skin, from series Boat names are not poems. Wood and paint, 70 x 100 cm, 2013-14. 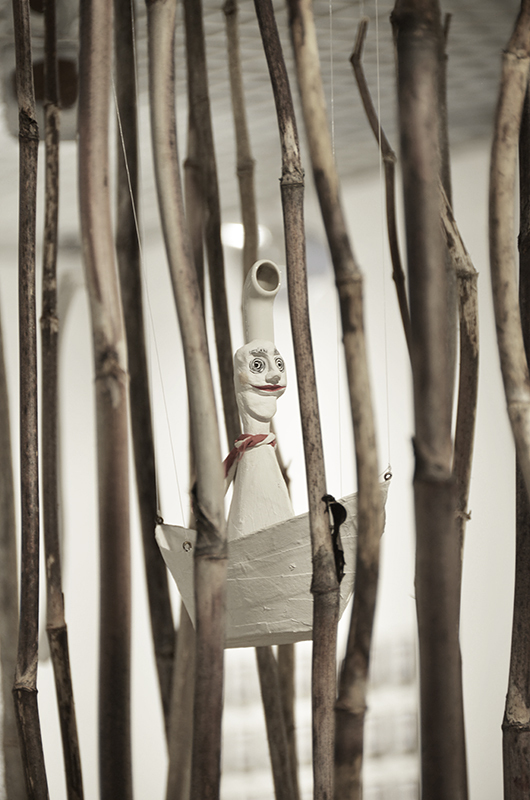 Forefront: The sailor, mixed media, variable dimensions, 2013-14. 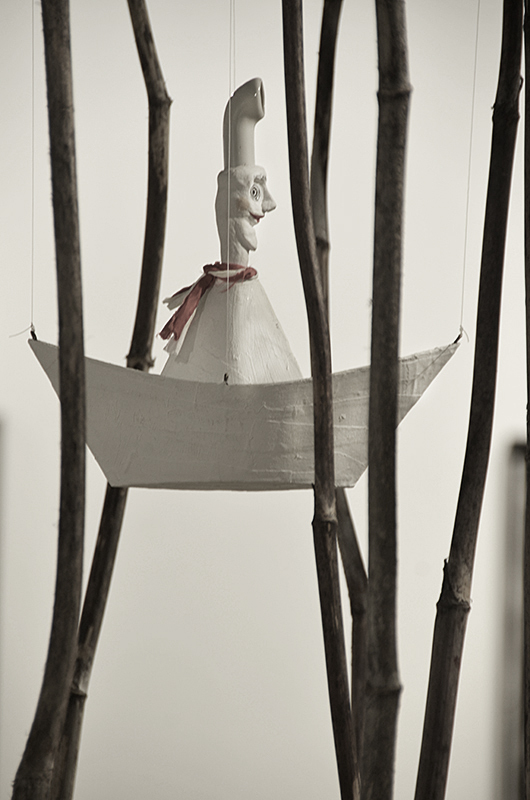 Objects I, seaport found objects, variable dimensions, 2013-14.